The Cormen Medal laureate in this nomination is Scott Wu (scott_wu, USA). Note the sharp upward dive his rating line takes. His achievements in 2013 are not limited by the spectacular dive into the best 10 participants on Codeforces: he got the 5-th place on IOI, won the 2013 season of the USACO contests, got target on TopCoder! We congratulate Scott and wish him many more achievements! We didn't have to search far and wide for the winner in this nomination. Naturally, the Cormen Medal goes to the most productive and loved by many author of 2013, Sergey Nagin (Sereja, Ukraine). Sergey prepared and conducted 7 rounds (all of them Div1+Div2) on Codeforces. Sergey's problems gained popularity among the Codeforces coders and we will be happy to see his contests again in the future! 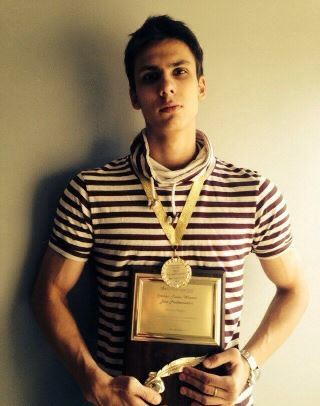 Sergey has already been awarded by a Medal and an Award Plate in February in Kharkov training camp. Looks like it's becoming a good tradition. The laureates will be sent a book by Thomas Cormen (Introduction to Algorithms or Algorithms Unlocked), signed by the author. Let us remind you that the Cormen medals have been awarded for the fourth year. tourist (Gennady Korotkievich) became the best participant three years in a row (in all the years when this nomination existed). I_love_ilona (Alexander Kouprin) became the best blogger in both years when this nomination existed. My favourite nomination "Best Problemsetter" was awarded to: natalia (Natalia Bondarenko) in 2010, Ripatti (Artyom Ripatti) in 2011, and witua (Vitaly Gerasimov) in 2012. Besides, in 2012 there was a medal for "Codeforces Spirit of Community 2012", the laureate was Nickolas (Mariia Mykhailova). Great work guys! Keep going :)! LOVE YOU scott_wu ! Keep going! Congratulations to Sergey and Scott! Great job, guys. And thanks to Mike for honoring me by naming the prize after me. Keep up the good work, everyone! Congratulation to all! Especially Sereja, I love your problemsets and I hope that you will be the problemsetter for more and more contest ! :) Yeees!!!! sereja Best Problemsetter. His problems very good and very interesting. Yeees!!!! Sereja is the best problemsetter. His problems are very good and very interesting. Yeees!!!! Sereja is the best problemsetter. His problems are vehodfhdokdof bdnpdfghhfsddf. It seems none of you managed to solve all the problems in a particular contest by Sereja. Most of his problems don't require a difficult implementation. Furthermore, they usually require some observations and steps that make problems quite easy to implement. IMHO, that's what usually makes a problem interesting/beautiful. We also would have pretty less rounds this year without Sereja. So I don't understand your motivation of doing this "ko-ko-ko, kookarekoo!!!". Hey, I don't have anything against Sereja or his contests. And I agree with the fact that he won deservedly. But anyway I think that TUITUF_Bahrom's repeating of his previous message is pretty funny. So I decided to support dalex in emphasizing absurdity of the situation. Do you really like such problems? Stop doing pupulism. Before saying "almost all" I'd like you to count the number of such problems and divide it by the number of his problems. It definitely will make you...emmm... keep silence, not to say it roughly. It's not 0. That's the problem. You're now saying that even one such problem existing is a bad thing. You are obviously a bullshiiter. That's the problem. I don't like flaming, but there's no other word I know to describe your last two comments. I don't like flaming, but there's no other gif I know to describe your last two comments. When is Farmer Ivan version 2.0 coming? I heard that has been in the works for over a year now? LOVE YOU BOTH!!! Good luck in your future! WTF is going on here Mike? 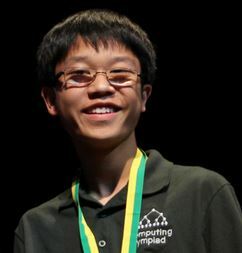 Look at this picture I found googling "Scott Wu" :D https://www.math.lsu.edu/~contest/2006/team_second_place_2006.html I don't know what this contest is, but this photo is very impressive and funny at the same time :P.
Server time: Apr/19/2019 01:29:34 (f2).